MOTTO: Mars’ images have a huge mess and chaos. There must exist a red thread connecting the things shown in the pictures. 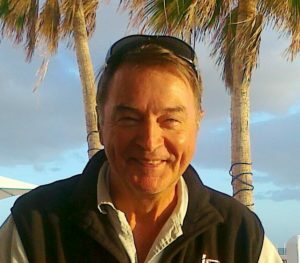 Some sort of red thread that helps to understand what is happening or has happened on Mars. You just have to find that red thread! 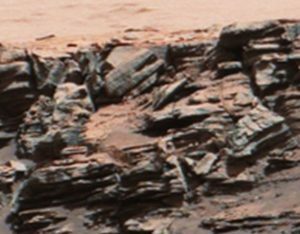 If you look at one particular Mars image, you can only find a huge mess. Nothing seems sensible. Upon watching thousands of images from Mars, I think, that I have found that missing red thread. I have developed a certain kind of model or theory, and I’ll be taking all the glory of my model, because all aspects are based solely on my own observations. I have not copied this model from anyone else, and as far as I know such a model has not been presented anywhere else. In the midst of all the confusion and chaos, there is a clear red thread along which you can proceed. In this case, the inconceivable confusion of the images settles in a certain order, and the person who is familiar with my Mars model recognizes the objects and creatures in the images and understands what is happening in these pictures. The red thread I have presented in my Mars model will help you to identify the details and to understand what is happening in the pictures. Without this red yarn or thread, everything would obviously be just a mess. 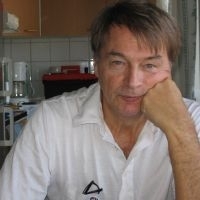 The model or theory I have presented is within the boundaries of the ability of people on Earth to understand. Therefore, it is quite natural that there will be many objections. However, I will take full responsibility for the accuracy of the material I have submitted. And that is why I also will give you a series of photographs of each detail showing my accuracy. All my arguments are based on NASA’s original photos. The conditions of Mars are quite unknown to us. However, my model is a sincere attempt to understand what is happening now on Mars or has happened before. It is possible that I am wrong on some issues. It is quite natural. In some cases, I just have to present alternative estimates and assumptions for possible further studies. However, I firmly believe that the model I have presented is essentially correct and will contribute to the Mars research and the proper understanding of the circumstances on Mars. 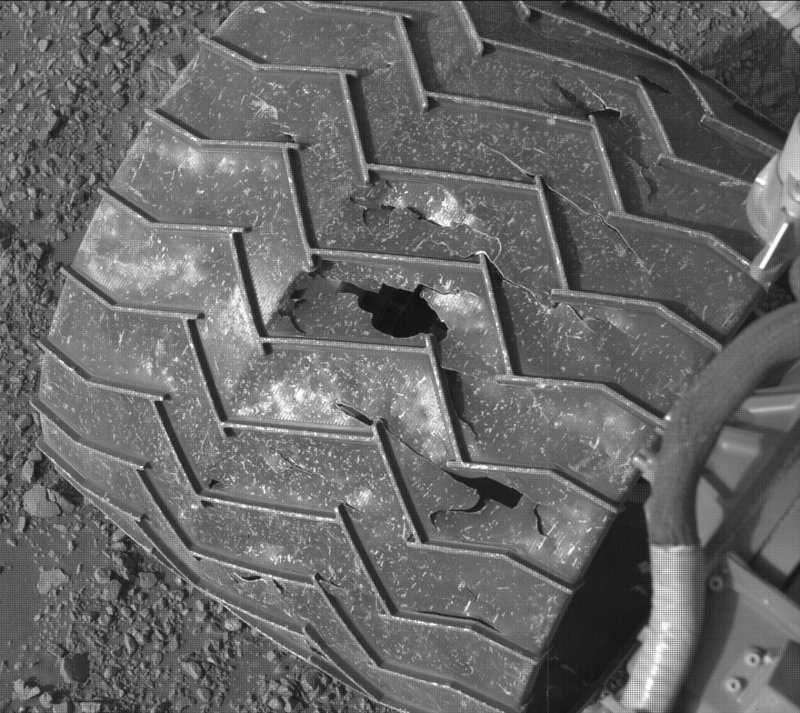 For example, when studying Mars images, you should pay attention to the following issues. a) Is the object entirely covered by sand dust? 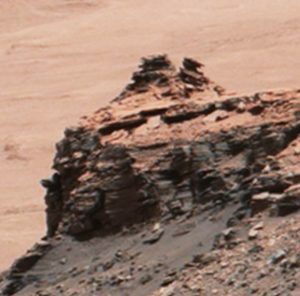 How much of the object is above the surface of Mars? Is the object completely on the surface of Mars? Is the object partly or completely in the air? b) Does the object create a shadow? Does the shadow match the subject of the review? 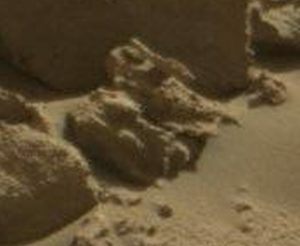 We know Mars has a lot of sand dust and even huge sandstorms. For each item, try to estimate how long the item has been in its current location. 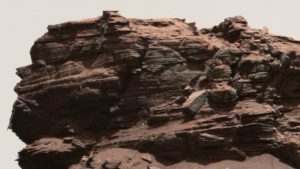 According to some claims, there has been a radical change in the conditions of Mars, which would have destroyed all life. Estimates of when that radical change has taken place vary greatly. Some estimates suggest that the change had taken place around 250 to 500 million years ago and therefore it should be assumed that all objects would now be covered by a thick layer of dust. For example, has the object shown in this picture been in this same place for 250 million years? What you think? MOTTO: Not all tubes are weapons. But almost all weapons are tubular (pistol, rifle, cannon, missile, rocket, etc.). This is obviously also on Mars! 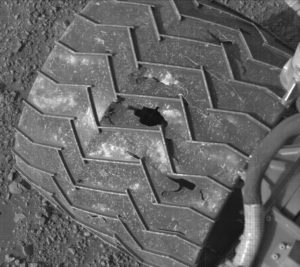 Unfortunately, the following things can be shocking, because all the Mars observations I have made are really amazing. MOTTO: Where could that red thread be found? 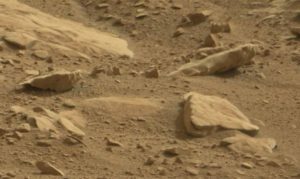 When I looked at the images of Mars, I found a lot of stones and mountains, but because I was looking for just biological life , I didn’t pay any particular attention to the stones. First, I didn’t really understand what the picture was about. Would it be a tank or some sort of ship? However, judging by the thick wall, perhaps a tank ! Then I found the picture of NASA PIA17931 and it exploded my consciousness. How this is possible? Stones that are not really stones. Mars stone tank with creatures and weapon. Image code NASA PIA17931. Taken on Jan. 30, 2014. Martian SOL 528. Remember that you can always make sure that the picture is correct and real. Just insert in Google Search the image code – in this case “NASA PIA17931”. And immediately after that, this incredible photo! Mars stone tank with head and metal collar. Image code NASA PIA17931. Taken on Jan. 30, 2014. Martian SOL 528. At this point I found the beginning of that red thread! If these stones are not stones, then probably the other similar stones are not just stones! Now that I knew what to look for, everything became much easier. Mars photos have a lot of these stone tanks. Despite camouflage, they are quite easy to recognize and distinguish from the real stones. Here are some exemplary “stone tanks”. 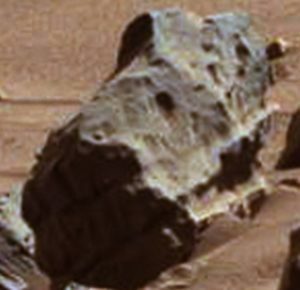 Mars stone tank – probably partly broken. 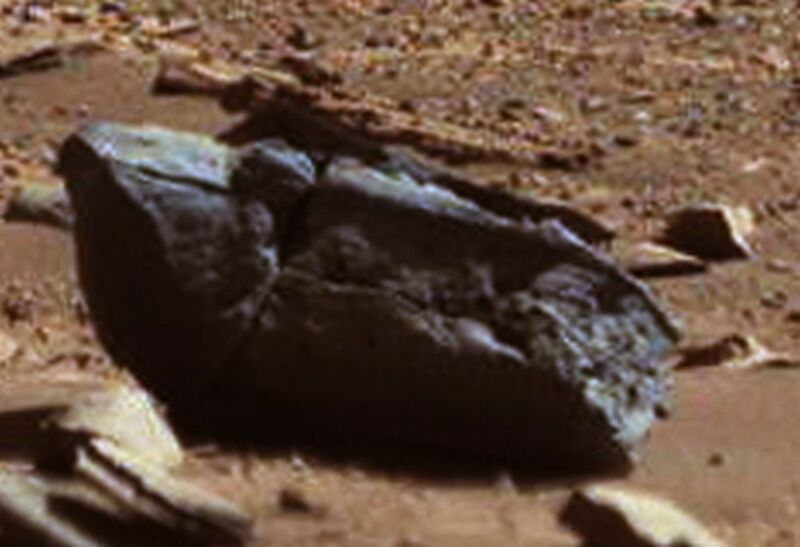 Image code NASA PIA17931. Taken on Jan. 30, 2014. Martian SOL 528. Another example of a stone tank on Mars. Image code NASA PIA17931. Taken on Jan. 30, 2014. Martian SOL 528. A stone tank seen from behind. Image code NASA PIA17931. Taken on Jan. 30, 2014. Martian SOL 528. A stone tank with an animal-like head and nose. 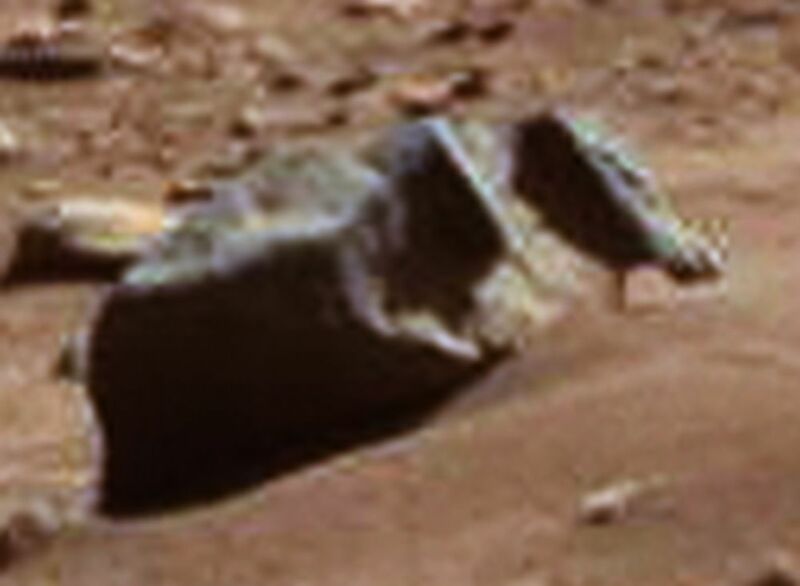 Image code NASA PIA17931. Taken on Jan. 30, 2014. Martian SOL 528. Stone tank with the caterpillar tracks visible. Image code NASA PIA17931. Taken on Jan. 30, 2014. 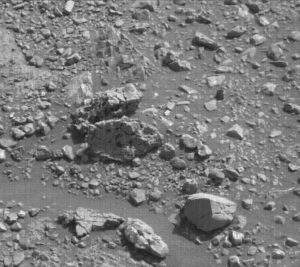 Martian SOL 528. Broken stone tank with metallic lower part visible. Image code NASA mars-curiosity-rover-msl-rock-PIA21041. Taken on Aug. 18, 2016. Martian Sol 1434. 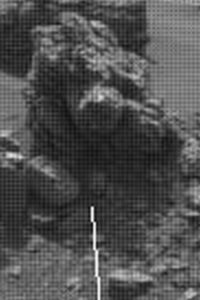 In the figure, NASA PIA17931_fig1 is a ruler that allows you to estimate the size of these stone tanks. They are estimated to be about 1-2 meters long and about 1 meter high. Note that the different images also contain smaller or larger stone tanks than in this photo. 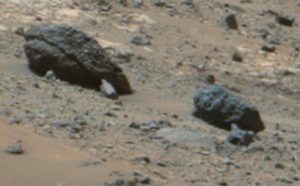 Now, my dear reader, you should be able to recognize these “stone tanks” from Mars images, although each of them could look a little different. Also note that the color of these stone tanks may vary slightly. In order to prove that they are really tanks, we must also see the interior of these stone tanks. There are plenty of ruins of these stone tanks. Here are a few pictures of stone tank ruins. Destroyed stone tank with external camouflage visible. Image code NASA PIA20842. Taken on Aug. 22-23, 2016. Martian SOL 1438 and 1439. Two or possibly three destroyed stone tanks. Image code NASA PIA17931. Taken on Jan. 30, 2014. 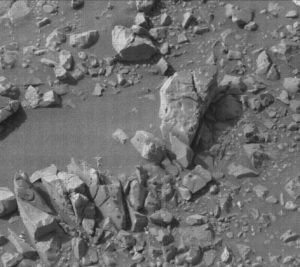 Martian SOL 528. Exploded stone tank. Metal inserts visible. Image code NASA PIA19397. Taken on April 10, 2015. 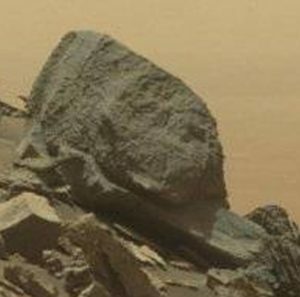 Martian SOL 952. Stone tank with a hit. Image code NASA PIA20842. Taken on Aug. 22-23, 2016. Martian SOL 1438 and 1439. Remember that you can always make sure that the picture is correct and real. Just insert in Google Search the image code – in this case “NASA PIA20842_full”. Now that we have a clear picture of what are these stones called “stone tanks”, and we have a tight grip on red thread, we can move on to the next step in studying the incredible world of Mars. Looking for BIOLOGICAL LIFE On Mars, I encountered this photo of a very healthy looking animal. Please note that there is no sand or dust on the animal. Could this animal be dead about 250 million years ago? What do you think? Does the animal seem quite alive? Healthy looking Mars animal. Image code NASA PIA17931. Taken on Jan. 30, 2014. Martian SOL 528. I think this picture is very revealing. 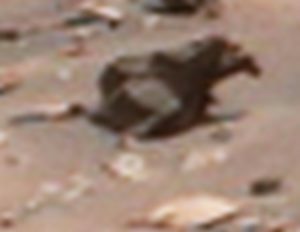 I have not managed to find any other photo of such high quality of a Mars animal. I really hope that this animal will not be categorized belonging to the category described in the next chapter. Another animal picture found. Unfortunately, it is not accurate enough to draw any conclusions. 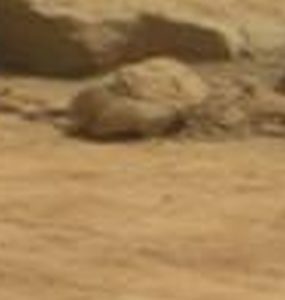 Mars animal? Image code NASA PIA20841. Taken on Aug. 18, 2016. Martian Sol 1434. Remember that you can always make sure that the picture is correct and real. Just insert in Google Search the image code – in this case “NASA PIA20841”. And two photos of animals we all know by the looks. We continue along the red thread holding the thread tightly. We already know that there are “stone tanks” on Mars. So could there also be “stone animals” ?. Stone animals look like stones. 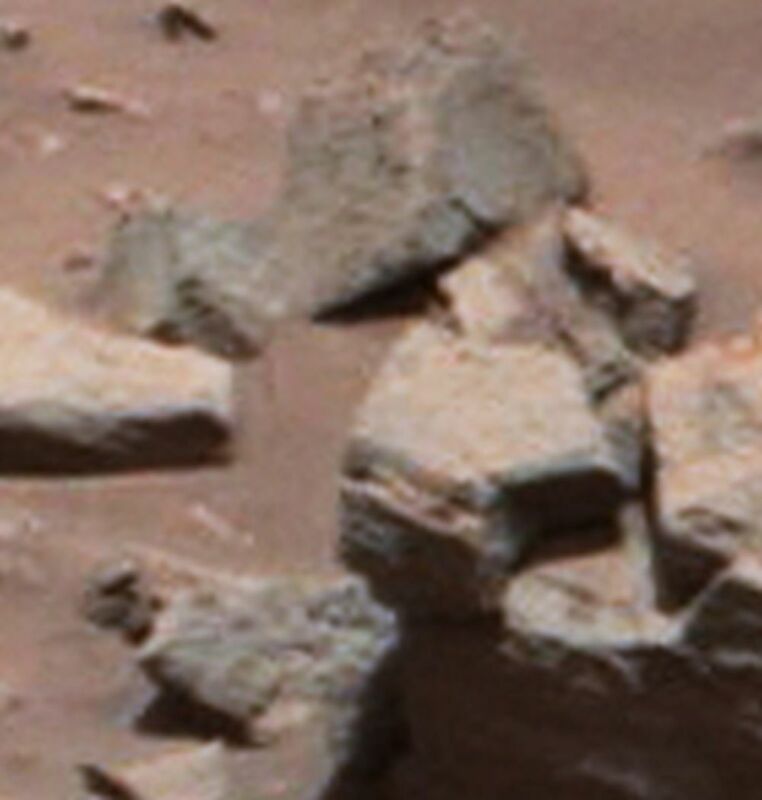 In fact, there are a lot of them in almost all of Mars’ pictures – thousands in total. They are very different in shape and size. The only common clear external feature is that they look like stone animals. Most have some kind of “face”, often also “nose” and sometimes even “tail”. Please note that it is not caused by the phenomenon called “pareidolia” . Here are some pictures of typical stone animals. Remember that you can always make sure that the picture is correct and real. Just insert in Google Search the image code – in this case “NASA Panorama-VikingLander2-1-1976”. Now, my dear reader, you should also be able to recognize the stone animals and distinguish them from pure stones. Or could it be that the stone animals are really animals that grow out of their stone homes and have to give up their rock armor (compare to snakes and other similar Earth animals). See the following picture where you can see the stone animals, but apparently in different phases of shell growth. Some fresh and relatively healthy looking stone animals and some old decayed “rock homes”. 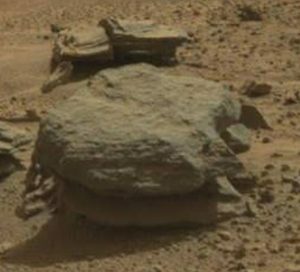 Apparently, therefore, the nature of Mars could also be filled with these abandoned “stone shells”. In such a case, it would be natural for only the stone to be found when you break these old “stone homes”. 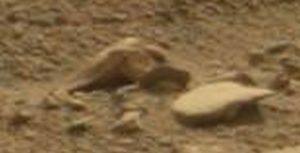 On the other hand, there are plenty of images where these stone animals seem to have wheels and other metallic parts. As if they were some kind of children’s toys. 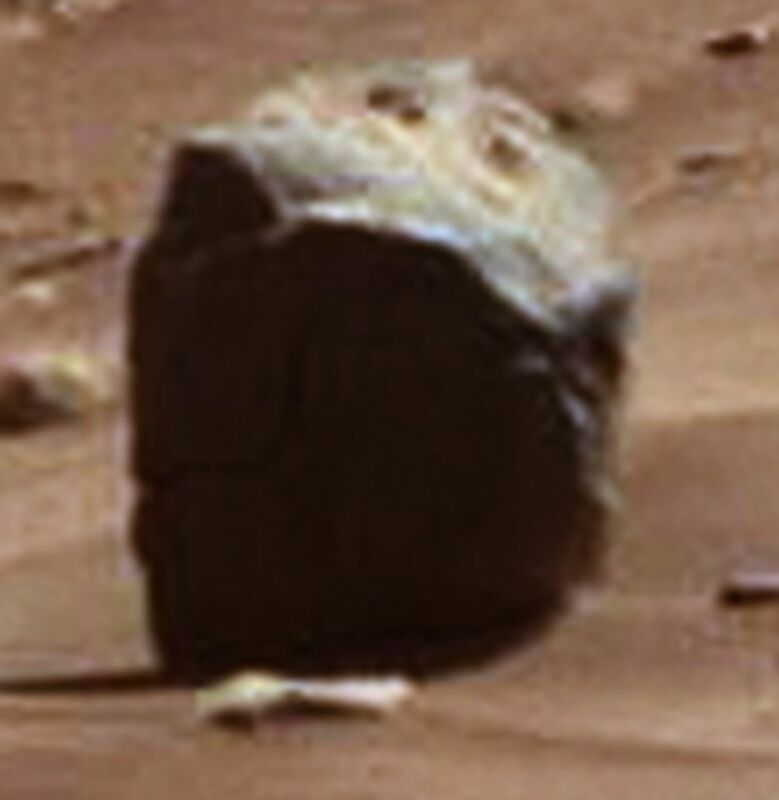 A stone animal with a metallic head and some kind of wheel. Image code NASA PIA20842_full. Taken on Aug. 22-23, 2016. 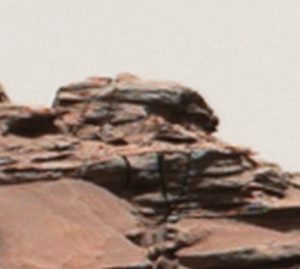 Martian SOL 1438 and 1439. 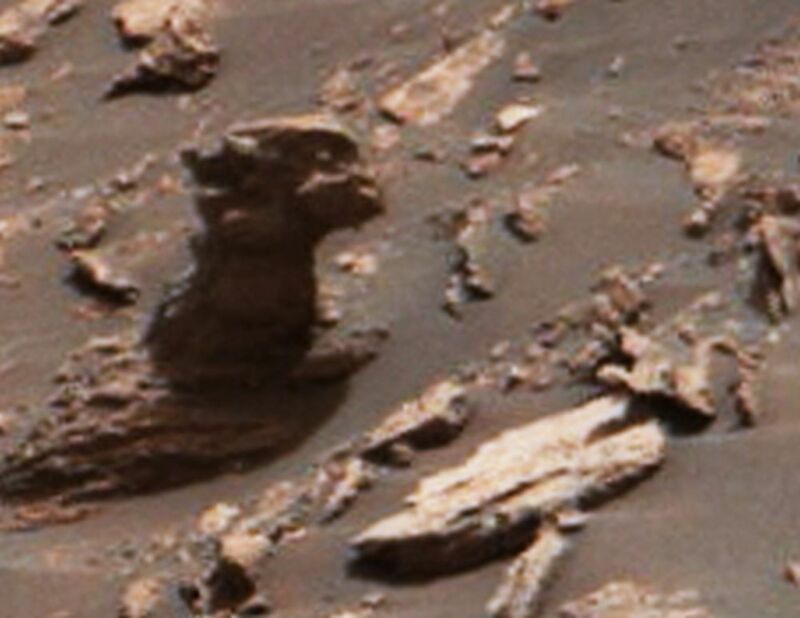 Mars metal-headed stone animals. Image code NASA MSL-Curiosity-Murray-Buttes-mesas-pia20841-mosaic. Taken on Aug. 18, 2016. Martian Sol 1434. Stone animals with metallic parts. Image code NASA PIA19398. Taken on April 16, 2015. 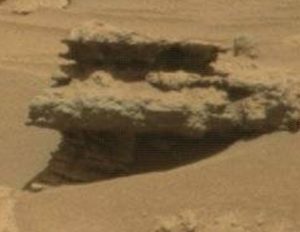 Martian SOL 957. 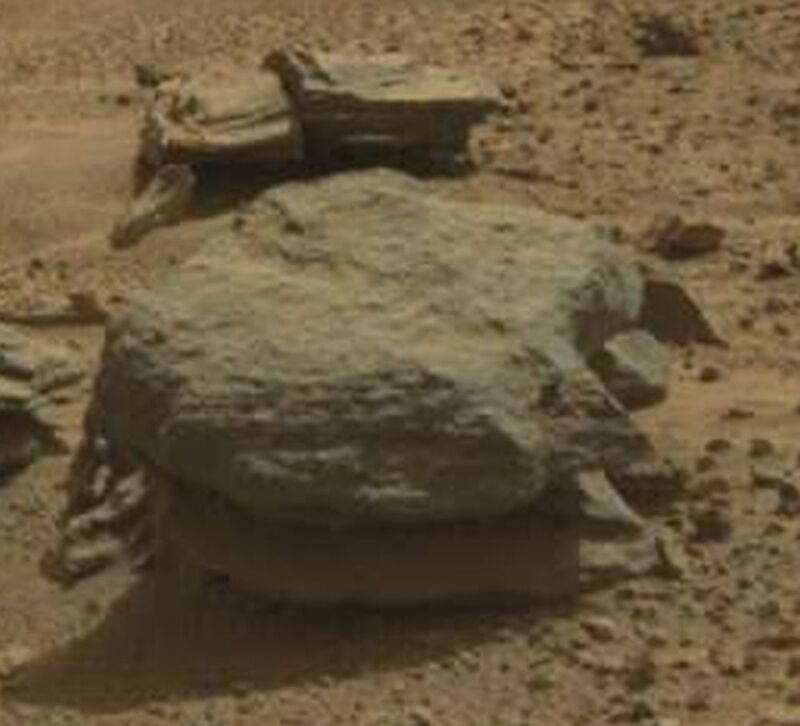 A stone animal run over by Curiosity. Metallic inner parts visible. Image code NASA PIA16919. Location Rocknest. Taken on several different days between Oct. 5 and Nov. 16, 2012. 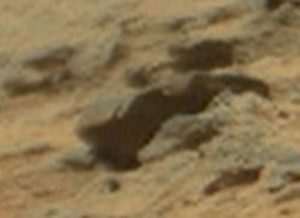 It is no wonder that Curiosity’s wheels have a difficult task when stone animals can have metallic spikes or other parts as in the previous images. Remember that you can always make sure that the picture is correct and real. Just insert in Google Search the image code – in this case “NASA 2264ML0121141120805108C00_DXXX-br2”. If we look at the similarities between stone tanks and stone animals, they seem to have similar features. The most important of them: both look like real stones. Could there be other common features and properties? How the stone animals reproduce? If there are real animals inside the stone shells, do they reproduce by mating? Here’s a pretty interesting photo. 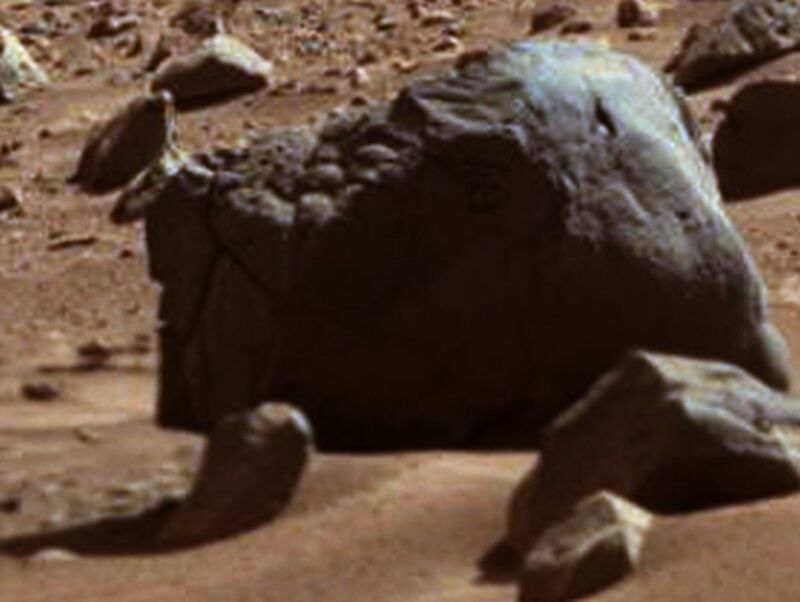 The photo shows a stone animal, which largely resembles the Earth’s “turtle”. Or could the image actually have two such turtles. Is this a mating situation? In the background, a third stunning stone animal. Note that these stone animals are very different in size but generally very small – only 10-20 cm long. Although they look like toys, they are not. In fact, they can be very dangerous, as you will see in a later chapter. I will finish this chapter with the next image. 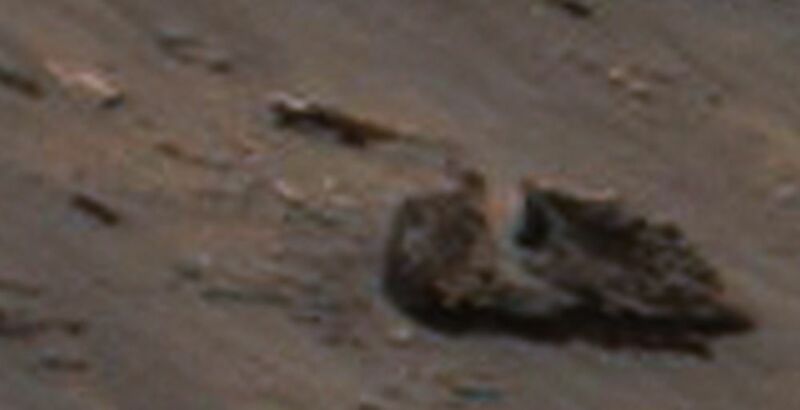 The image shows a larger unknown creature or animal. 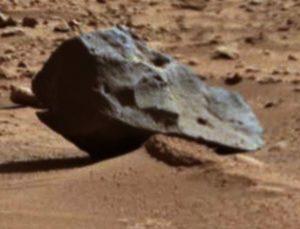 In the foreground a broken stone animal and its metallic parts. Please also note the tiny object in the foreground. Could it be the animal that lives within the stone’s shell? What do you think? Remember that you can always make sure that the picture is correct and real. Just insert in Google Search the image code – in this case “NNASA 0184MR0009250930202155E01_DXXX”. I have little material for this chapter. Why so? Because the creatures, if they exist, are really very small. All the photos of the creatures have been taken too far. But if the creatures really exist, they would fit perfectly into the overall structure of this model. Here are some images that I have collected. Remember that all these images have been taken by NASA. Not by me. Stone tank with creatures and a roof gun. Image code NASA PIA17931. Taken on Jan. 30, 2014. Martian SOL 528. Two unknown creatures of Mars. Image code NASA PIA17931. Taken on Jan. 30, 2014. Martian SOL 528. Remember that you can always make sure that the picture is correct and real. Just insert in Google Search the image code – in this case “NASA PIA17931_fig1”. 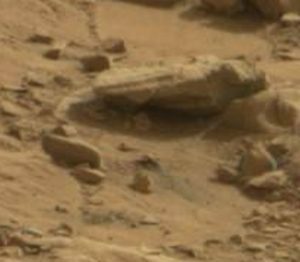 There are a lot of monster and animal statues in Mars. They are in the middle of open places, but especially on the slopes of the mountains. Could there be weapons inside them? Could they be made mainly in the form of intimidation. Who knows it? 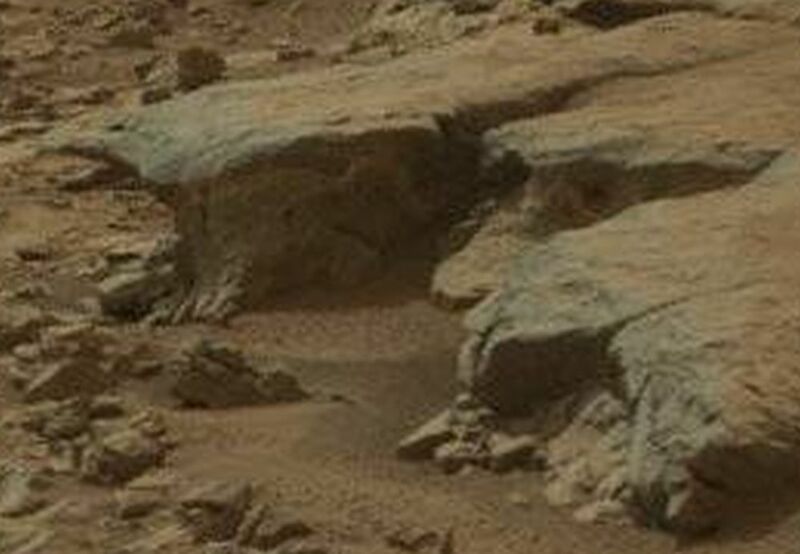 Here are some photos of Mars statues. Mars monster statue. Image code NASA MSL-Curiosity-Murray-Buttes-mesa-mosaic-Mastcam-M9a-pia20843. Taken on Sept. 1, 2016. Martian SOL 1448. Remember that you can always make sure that the picture is correct and real. Just insert in Google Search the image code – in this case “NASA 0184ML0009250990105399E01_DXXX”. If someone had to defend their own area, it would be logical to place some military bases or bunkers and gun stations at the top of the hills. And that is what is happening on Mars. Here is a photo of such a gun station at the top of a hill. A cannon pointing down the valley. Image code NASA PIA20842_full. Taken on Aug. 22-23, 2016. Martian SOL 1438 and 1439. And bunkers or other military facilities. Destroyed bunker with cannon. Image code NASA MSL-Curiosity-Murray-Buttes-mesas-pia20841-mosaic. Taken on Aug. 18, 2016. Martian SOL 1434. Military base and cannon. Destroyed? Image code NASA PIA20841. Taken on Aug. 18, 2016. Martian SOL 1434. Military base at the top of a hill. 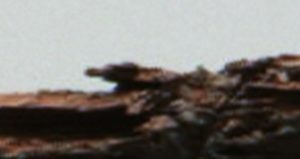 Image code NASA PIA20841. Taken on Aug. 18, 2016. Martian SOL 1434. It is very surprising to find that military stations at the top of the hills have been largely destroyed. There are several bunkers or military bases at the top of the hills that have been completely destroyed. Here are some photos of these destroyed bunkers and military bases. Destroyed military base on Mars. Image code NASA PIA20841. Taken on Aug. 18, 2016. Martian SOL 1434. 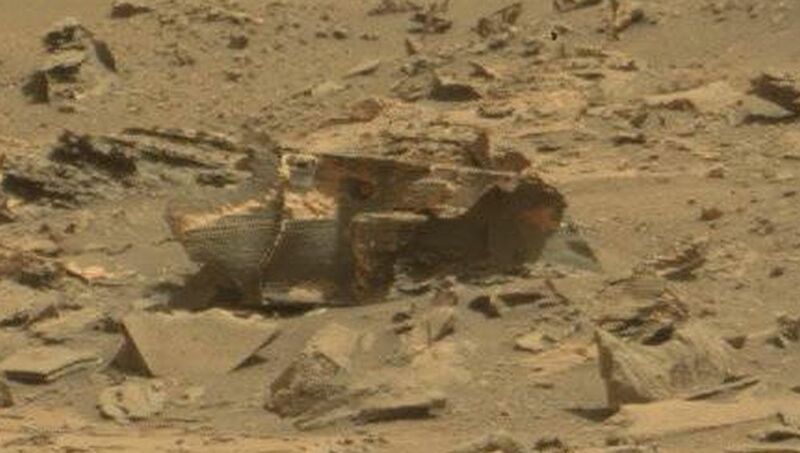 Another destroyed military base on Mars. Image code NASA PIA20842. Taken on Aug. 22-23, 2016. 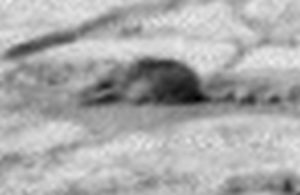 Martian SOL 1438 and 1439. Remember that you can always make sure that the picture is correct and real. Just insert in Google Search the image code – in this case “NASA 0748MR0032220010403524E01_DXXX”. Note that Mars images have a large number of these detonated military facilities. 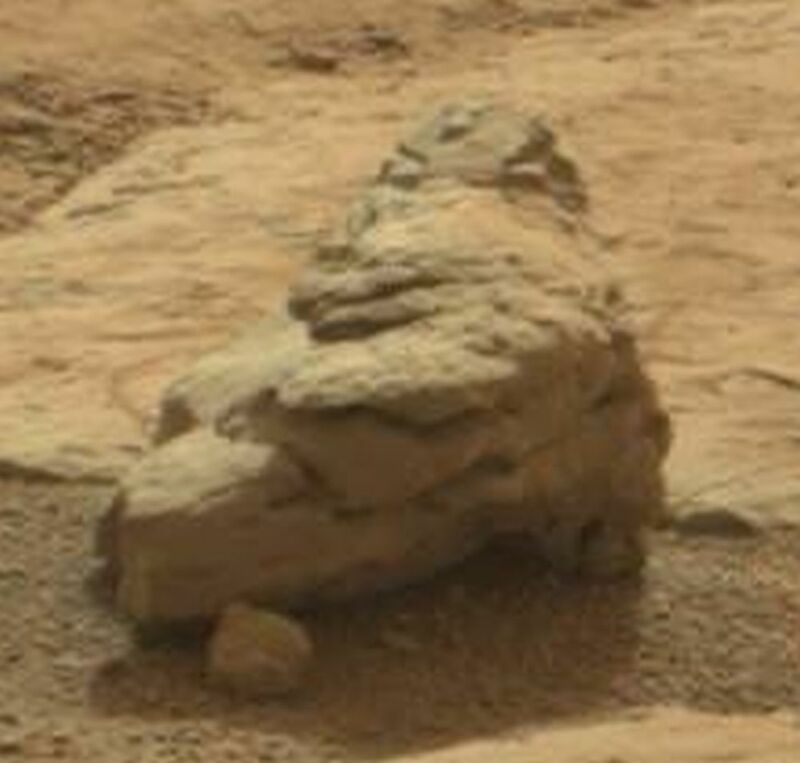 In the following image we have a lonely stone concentration in the area of desert in the middle of nowhere. 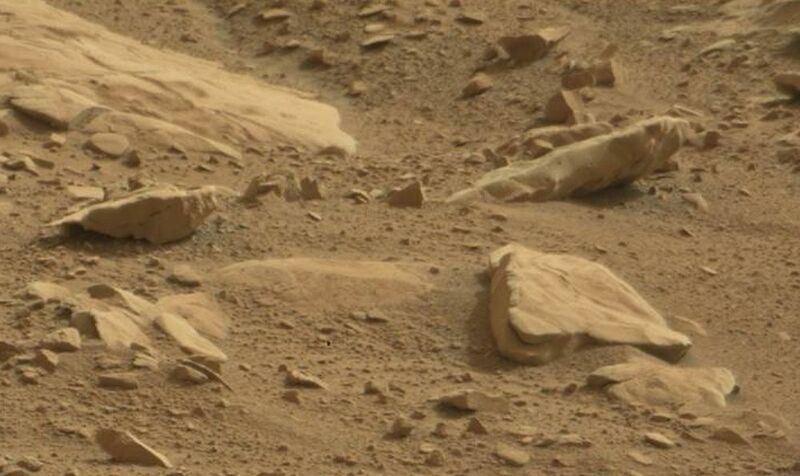 It looks just like normal rocks. But if you will look closely the location of each stone is clearly planned according to military tactics. Each stone animal heads to a certain direction, so that all directions will be covered. What proof I have on my claim? If we will take a close up photo of the stone marked with letter A we will have the following snapshot. 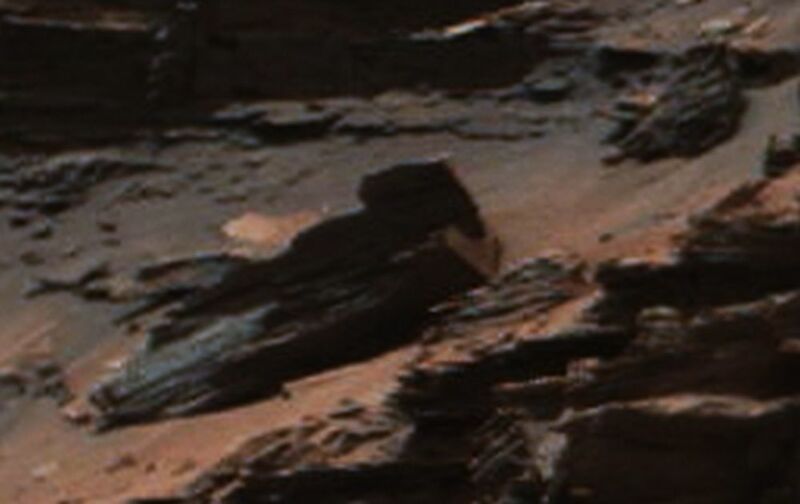 This is a raw picture of relatively low resolution, but we can clearly see the many faces of Martians in this picture. (Unfortunately if NASA will later publish a color version of this same picture they most probably will have taken out all unwanted details – like these faces – making the stone look just a stone.) So for the moment we have to settle for this low resolution bad quality picture for the proof. Then there remains the problem of pareidolia. 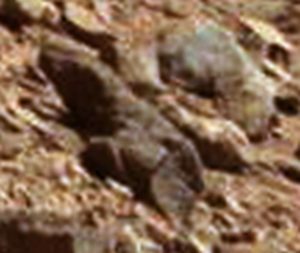 While examining the raw pictures of Mars stone animals one can encounter all the time the faces of Martians in a similar fashion. So one has to think that this is not only a phenomenon of pareidolia, but something else that it is very hard to understand. 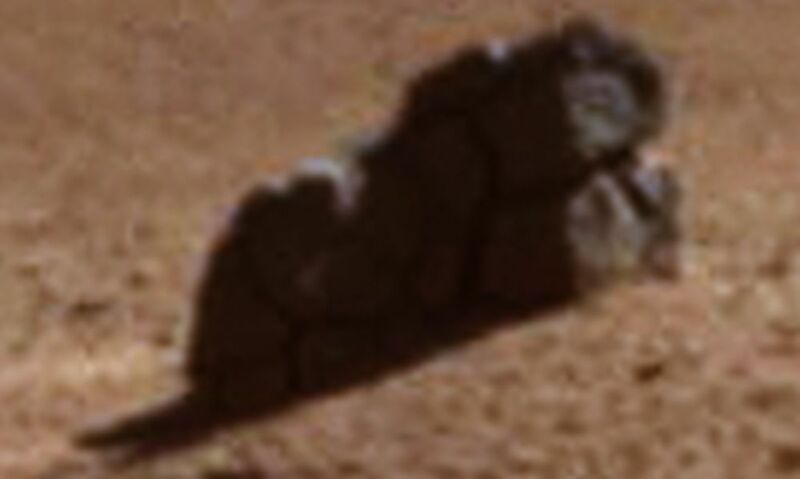 And more questions: If there are really Martians so closely packed in the stone animals, then 1. How they eat? Don´t they need food? 2. Don´t they need water? 3. How they sleep? 4. How they can really stand being so close to each other? etc. 7. Who is fighting against whom? It is impossible to know who is fighting against whom. 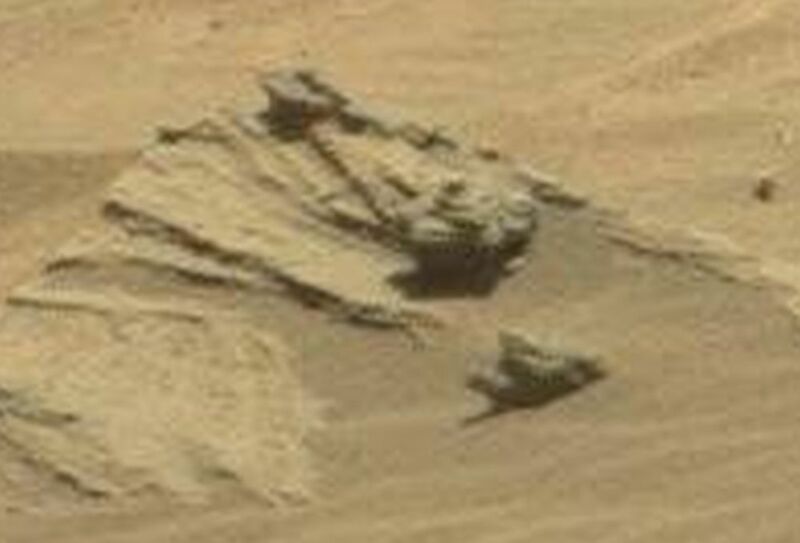 But when I studied the pictures of Mars hundreds of hours, I have come to thinking that the stone animals from the valley are attacking the hilltop military bases.Yes. You read it right. I’ve come to this conclusion. If you look carefully at the images, you will find that the stone animals are almost all going upwards towards the hills. It also seems that when stone animals have reached military bases, these bases have been blown up and destroyed either partially or even completely. And on who´s side are the stone tanks? It would seem that the stone tanks would mainly descend from the mountains, but this matter is uncertain – perhaps they have these stone tanks on both sides. I may be wrong in some points, but NOW you, my dear reader, you will have a clear picture of Mars and I have been able to pass to you the red thread we have been looking for. When you study the images of Mars, you will surely understand what is happening on Mars – at this very moment or in some time in the past. MOTTO: Who can claim that there is no life or intelligent beings on Mars! I really hope that NASA will come out and tell if NASA disagrees with anything that I have described above. And I’d be more than willing to fix any errors found in my Mars model. PS. After writing the above article I found this photo of a house or a home on Mars. I have provided my interpretation of the things. Please note the two or three human-like persons in the photo. Interesting and amazing. 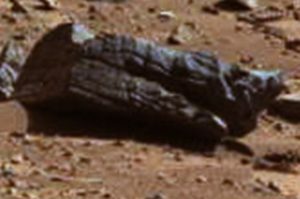 What else will we find on Mars? What you think?